Some of my favorite summertime memories revolve around the campfire. From singings songs at camp to toasting s’mores in the backyard, a campfire always brings people together. This summer KidZone – Kearney Area Children’s Museum is once again providing an assortment of fun day camps for kids ages 4-7. Even though I will not get to join in the fun because I will be out of state this summer (that is bound to be another post), I could not miss out on helping prepare for one particular week of camps. During the week of July 23rd – 27th, three different camps will highlight parts of camp or camping that we all remember: “Creative Campers,” “Campfire Cooking, Stories & Fun,” and “Camp Adventures.” Miss Lindsey (one of the camp instructors) found a campfire made of felt for sale online that she thought would provide an atmosphere for the kids and a place to gather around. However, this cute little campfire was much too expensive for our very minuscule budget, so we decided to make one ourselves. 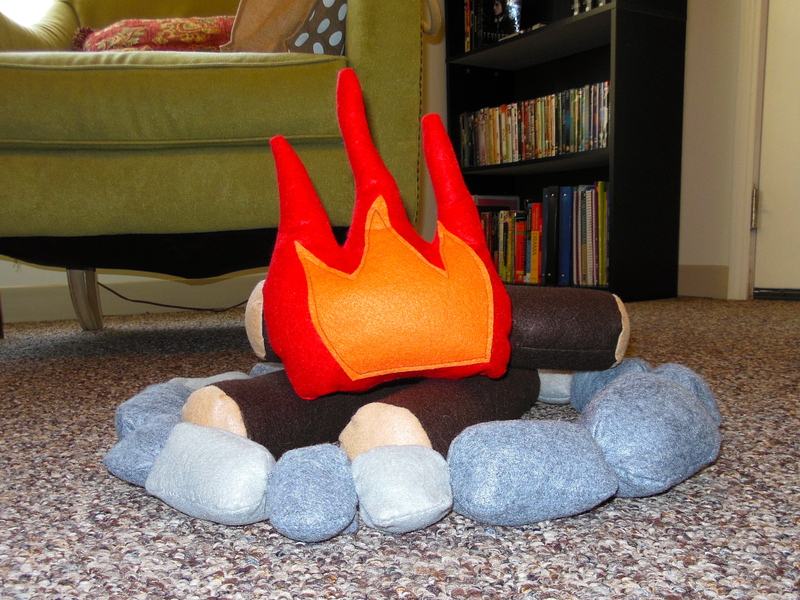 So here is a short tutorial of how we made our felt campfire. Enjoy! To check out more about our summer camps go to misslindseywrites. First, gather supplies. 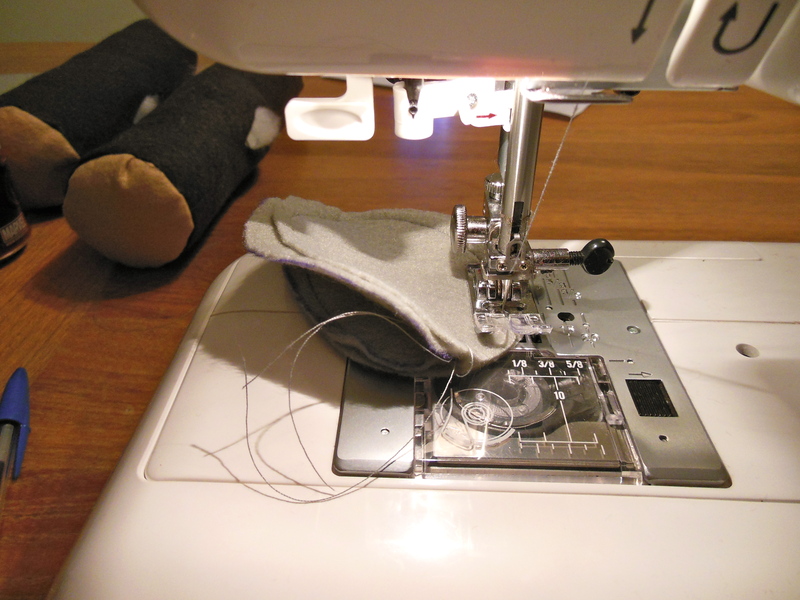 We used an assortment of felt and matching thread, stuffing, and then obviously a sewing machine. Next, I freehanded a flame on the red felt using a pen (cut 2). I made it as large as I could on the 8×11″ piece of felt. 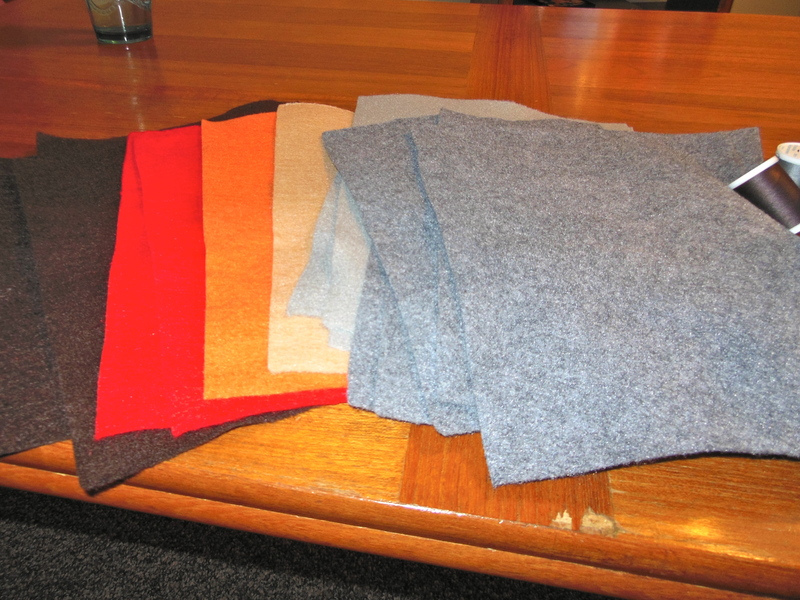 Then I made a smaller flame out of the orange felt (cut 2). You could cut an even smaller flame out of yellow to place on the very top. 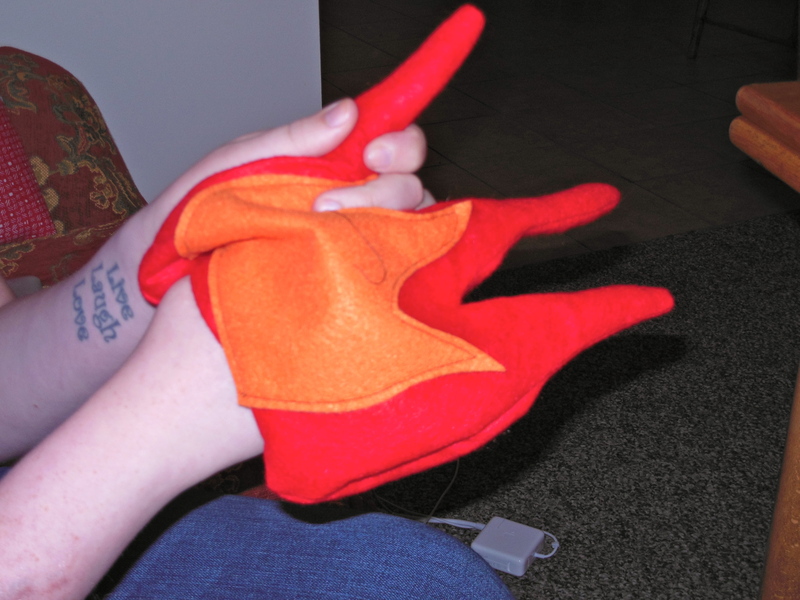 Then pin the orange on top of one of the red flames and stitch. Do the same with the other orange and red pieces. 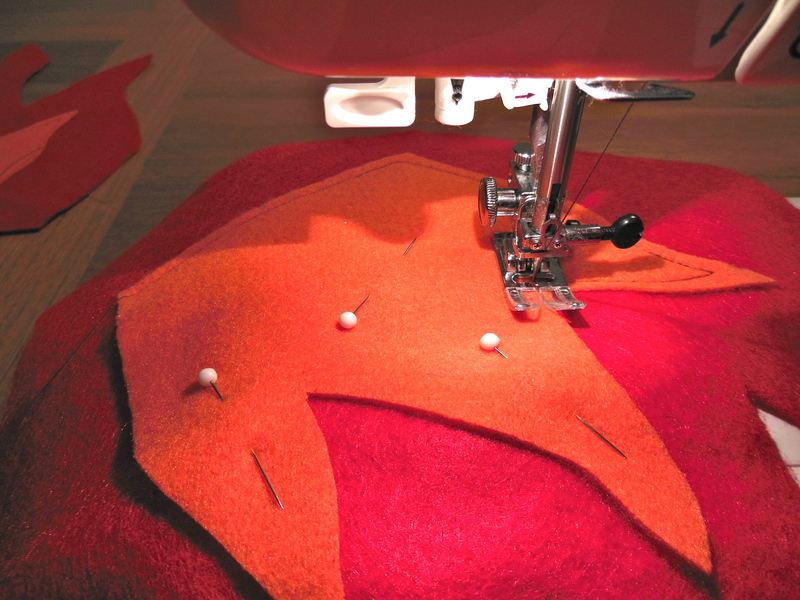 After the orange flames are sewn on top of the red, you will want to pin right sides together. Sew, leaving a gap big enough to stuff. Turn right side out. I made the finger of the flames almost too small to turn, so I would suggest making them wider than mine. Stuff and stitch up the gap. Next, we worked on the logs. 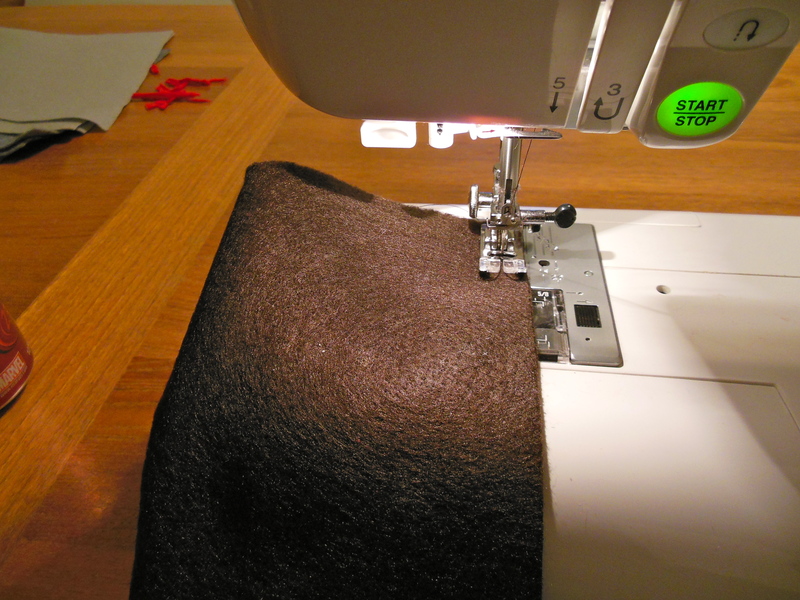 Just sew the 8×11″ sheet of brown on the long side after folding it in half. Make sure to leave a gap to stuff through. So I forgot to take a picture of how I pinned the felt for the end of the logs, but you will have to use your imagination. I first marked 4 points on the circle and 4 points on the end of the log. Then I matched the marks up and pinned. There was a little bit of puckering, but I wasn’t worried about making it perfect… just make it work. Then stuff and stitch! Rocks! I freehanded the stones, making oval shapes and cutting out three. Then I just made it work when I sewed the three sides together. If you have a better way of doing this, go for it… I wasn’t being too picky. Don’t forget to leave a hole somewhere to stuff through. Stuff and stitch! They are going to be kind of funny looking, but they make cute rocks. 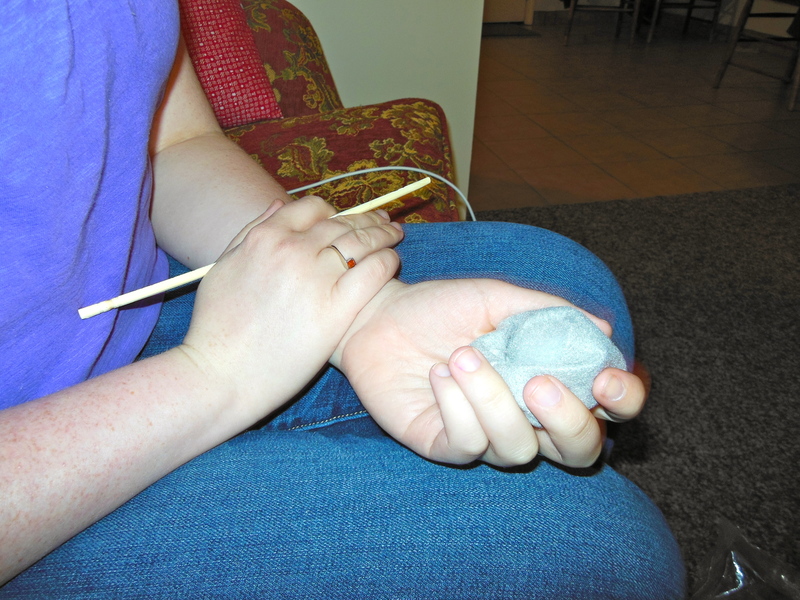 Once all of your rocks are done (I think we counted 14 or so rocks of varying sizes), then you are ready to sew your rocks into a circle. 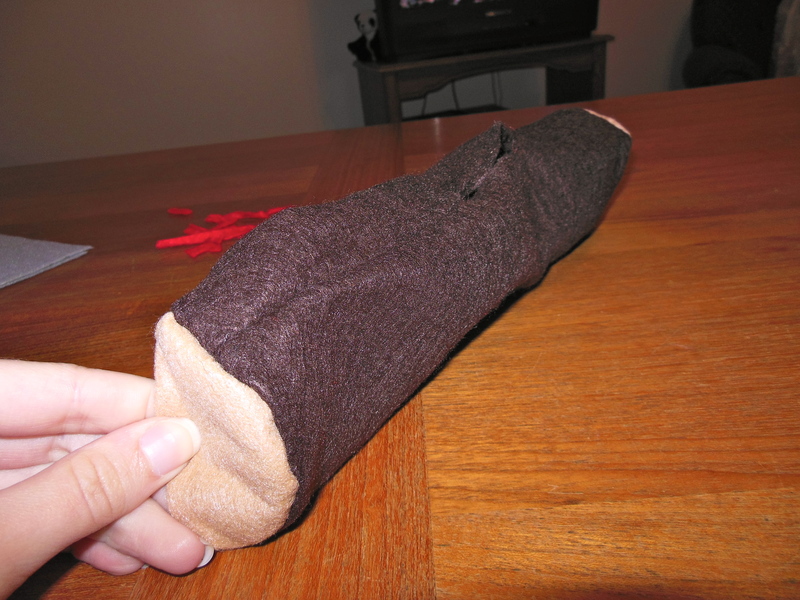 By sewing them together, you will save yourself a lot of trouble when pulling it out to play. I just connected them by stitching them together end to end. And then you are finished and ready to gather around your campfire for story time. This is obviously not the most thorough tutorial, but if you have any questions, just comment so that I can get back to you and revise my directions.